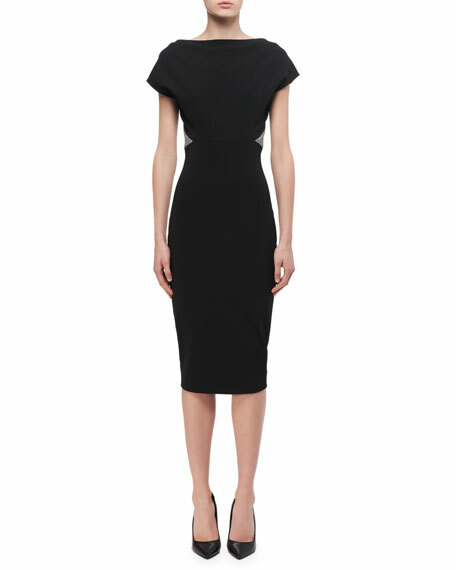 Victoria Beckham dress in densely ribbed knit. High neckline; open square back. Exposed two-way full-length back zip. For in-store inquiries, use sku #2269912.